We provide our customers with outstanding heating and cooling systems in their homes because complete home comfort is about more than just temperature, it's also about maintaining a healthy home with indoor air quality. 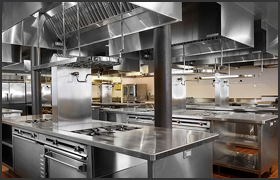 We only install high grade Commercial Heating, Cooling, Ventilation, Filtration, Refrigeration and Exhaust Systems. We custom design each Duct System to supply your establishment most efficiently. 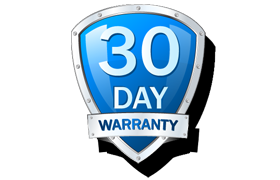 Within a 30 day period from the date of service/repair, we will cover the labor charges and within a 90 Day Period from the date of service/repair, we will replace the controls that fail of manufacturing defect. Welcome to R & P Inc.! 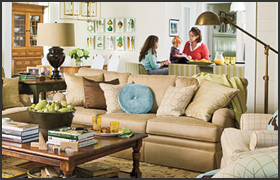 R & P Heating & Cooling & Restaurant Service, Inc. is family owned and operated. The company has been serving the residential heating and air conditioning, commercial heating, cooling, commercial refrigeration, and commercial cooking equipment since 1994. R & P Heating & Cooling & Restaurant Service, Inc. has served the Porter and Lake County areas with over 27 years of experience. We are Licensed, Bonded & Insured in Porter & Lake County. We are members of the Better Business Bureau. We are one of the largest Armstrong dealers in Northwest Indiana, but we also service other furnace and air conditioning brands such as: Trane, Carrier, York, Honeywell, and more. We provide our customers with outstanding heating and cooling systems in their homes because complete home comfort is about more than just temperature, it’s also about maintaining a healthy home with great indoor air quality. Our Residential Technicians are Residential Equipment Specialists and are experts in all home comfort in all home comfort problems including air filtration, humidity, zone temperature control, and more. Today, R & P offers the best commercial equipment service and products, as well as residential heating and cooling. If you’re looking for quality products, unbeatable service, and trained professionals you can rely upon in Northwest Indiana, R & P Heating & Cooling & Restaurant Service, Inc. is the company you’ve been searching for! R & P Heating & Cooling & Restaurant Service, Inc. has served the Porter and Lake County areas since 1994. We are Licensed, Bonded & Insured in Porter & Lake County. We are members of the Better Business Bureau. Please download and print the following application. Please mail the completed application to our mailing address, also found on the the top of the application.